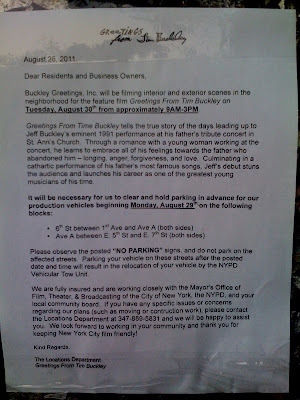 Expect to see crews for the new Jeff Buckley-Tim Buckley biopic filming around the East Village in the coming weeks. We've heard that they've been scouting some familiar locations. And, well, Penn Badgley of "Gossip Girl" fame — and no stranger to the East Village! — is playing Jeff. Anyway, doesn't seem like that long ago that Jeff Buckley was playing at Sin-é at 122 St. Mark's Place in the early 1990s. The St. Mark's version of Sin-é closed in 1996. 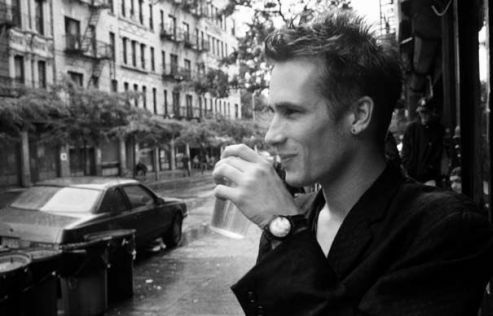 Jeff Buckley drowned in Memphis in 1997. Updated: Our friends at This Ain't the Summer of Love note in the comments that Anthrax bassist Frank Bello will portray Richard Hell in the movie. That's interesting casting. Thanks for the tip!